This tour comprises of a 3 days 2 night tour to the Land of the Hornbills. Be transported back in time in this land rich in diversity and a melting pot of the traditional as well as the modern. The colourful nature of its people as well as the numerous fantastic landmarks has left its mark as a top destination in South East Asia. From the up and rising metropolis to the laid-back and serene sights to behold, Kuching is truly a destination not to be missed. Arrive in the early morning to the city of Kuching. Be amazed by the tranquil lifestyle and the proud homage the locals pay to their roots, as well as the welcoming embrace of the morning tropical breeze. Proceed first to the hotel for check in, and have the rest of the morning for free-and-easy. 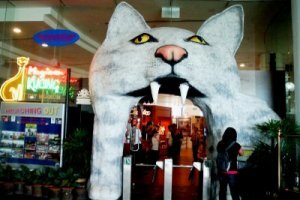 After lunch, proceed to visit the Sarawak Cat Museum, which will definitely satisfy the palette of the cat lover. The theme revolves around the gentle feline creature, and is one of a kind in the world – equipped with vivid paintings, articles, posters, figurines as well as toys of cats. There is also a mummified Egyptian cat, making it an interesting stop in the city of Kuching. From here, head on over to the Sarawak river bank. There will be some of the Malay vessels, or ‘sampan’ to bring you on a short but spectacular cruise along the Sarawak River bank. For a minimal fee, the tour includes the sights of various important architectural remains of the days of past. This includes two castles left during the British Colonial Days – Fort Margherita and the Astana. 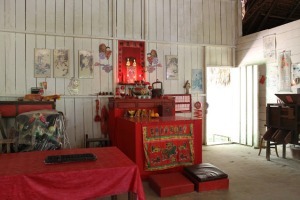 Both were strongholds of Charles Brooke and an important monument in Sarawak’s history. Marvel at the grandeur of the castles and their white walls, as well as their landscaped gardens. Also, make a visit to the Square Tower, another heritage site and distinct building. The Orchid Gardens is also on the list, where one can see the marvelous state flower – the Normah Orchid. Take a walk along the Main Bazaar, which is filled to the brim with visitors, tourists and shoppers alike who are in for a good bargain. 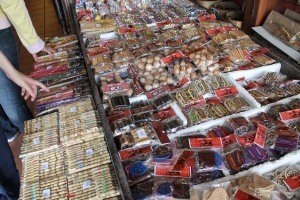 The markets sell all kinds of goods including souvenirs and foodstuff. For dinner, there are numerous local dining options in the Main Bazaar, after which, head back to the hotel for a good night’s rest. Wake up to a wholesome breakfast, and head out to the Bako National Park. 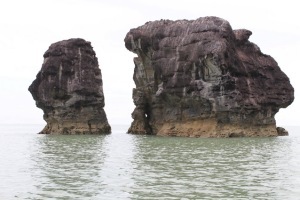 The journey takes around 45 minutes from the city of Kuching. Covering 2,800 hectars of rainforest, rivers, beaches and trails, Sarawak’s oldest national park is where one will find and discover the true beauty of nature. Nestled in the heart of Borneo, the national park homes to a myriad of flora and fauna across different types of habitats – including 25 distinct plant species, the rare proboscis monkeys, the Borneon bearded pig and a collection of exotic bird species. Then, proceed to the Sarawak Cultural Village for a journey into the life of the indigenous tribesmen of the land. Known as the Living Museum, it showcases real life traditional folks living inside it, who will showcase their daily routines, cultures and allow you to experience, learn and be entertained. The Museum is also houses the traditional longhouses of the Iban, Bidayuh, Orang Ulu, and the distinct Melanau tall-house. After a fine day of exploration, visit the Damai Beach, where one can rest their sore eyes and view the lovely sight of the blue ocean and the white, fine sand. Take a rest and feel the ocean breeze caress your cheeks. Proceed for a wholesome dinner in one of the restaurants by the beach, as the sights and sounds of the sea hitting the shore accompany your meal. After dinner, head back to the hotel for a good night’s rest. After breakfast, proceed to visit the Semenggoh Nature Reserve for the chance to see more of the Sarawakian wildlife. Built almost 40 years ago, the reserve was with the sole purpose of rehabilitating wounded wildlife and serves as a nurturing ground for endangered species. It is home to more than 1,000 types of bird, reptiles and mammals. 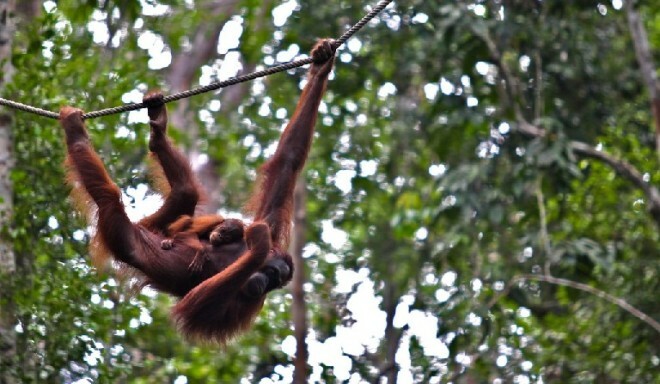 It is also the largest reserve for Orang Utan rehabilitation. Get the chance to see these special creatures up front, with their distinct reddish brown fur and one of the world’s largest primates. After lunch, pack up your belongings and head home, as you bid farewell to the wonderful city of Sarawak, bringing along the sweet memories with you.